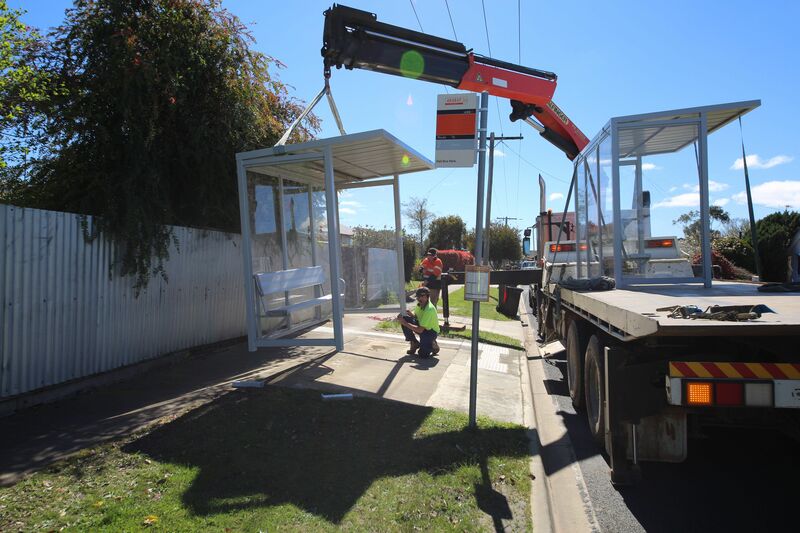 Ararat Rural City residents will notice new bus shelters scattered around town following an upgrade of eight sites. One of the bus shelters being installed in Marx Crescent. The installation of eight new undercover shelters was completed by Polite Enterprise Construction. The upgrade was made possible with $100,000 of funding from Public Transport Victoria and will help improve the comfort of passengers as they wait for their bus.